Recently there were 3 very cool and rare items up on eBay that I wanted to share with everyone. Unfortunately for me I lost out on them. 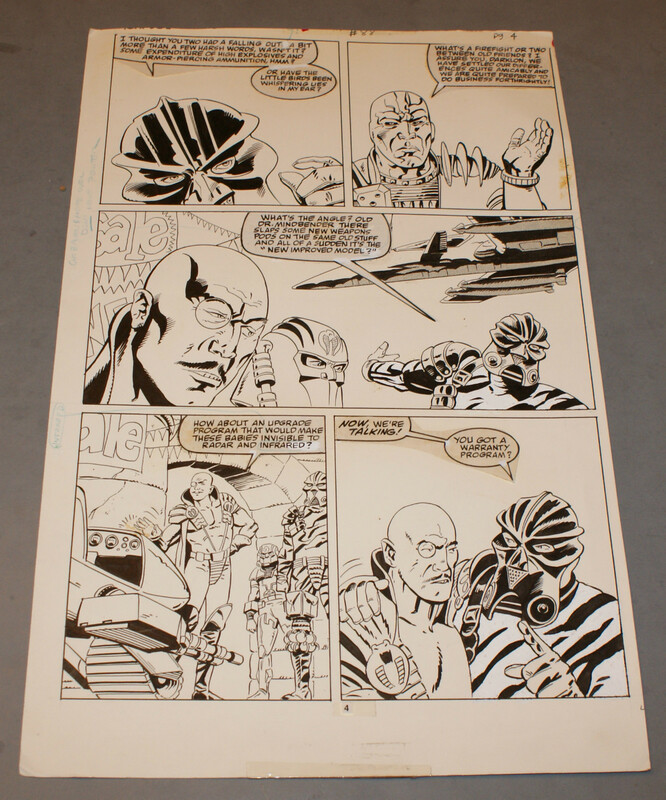 First there is a piece of original comic art from Marvel GI Joe # 88 with Darklon, Cobra Commander, Destro. 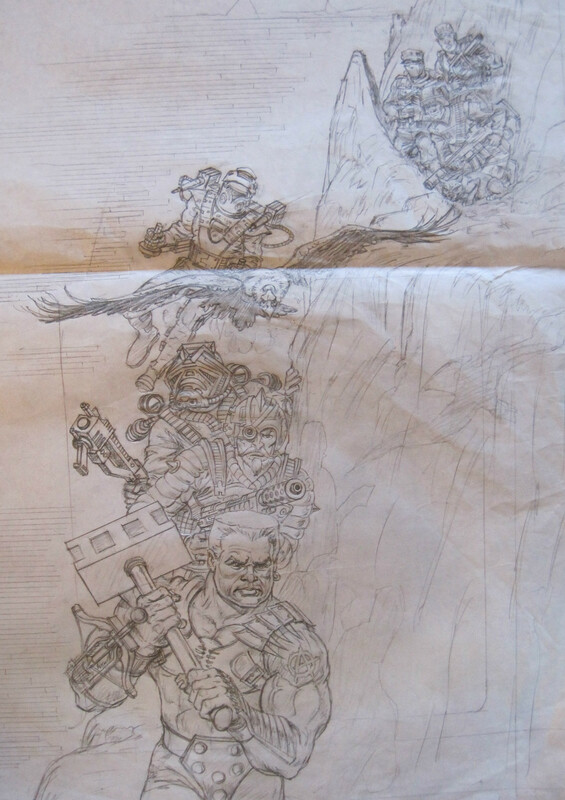 Next up are two package art preproduction pieces done by Earl Norem. 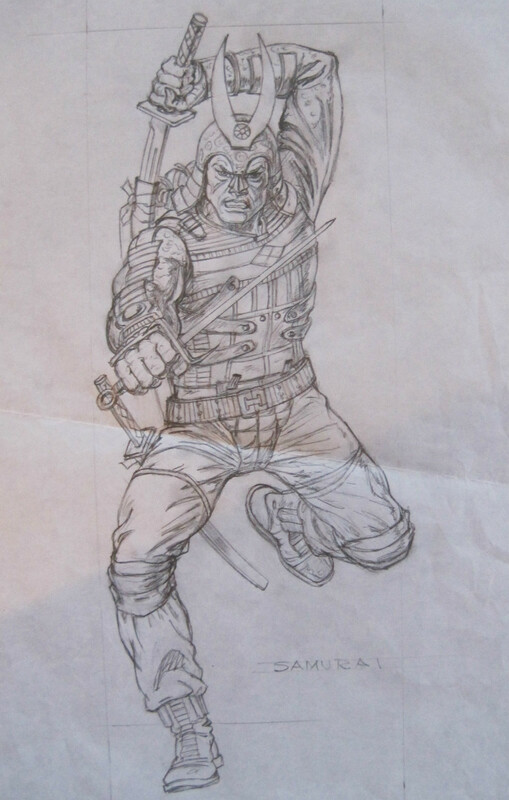 There is the Budo character package art as well as the package art for the Cobra Battle Gear Accessory Pack 6. Categories: General Joe Stuff | Tags: Cobra, comics, eBay, eBay Auctions, GI Joe, Leaky Suit Brigade, prototype | Permalink.